The post What to Know About Your 2-Year-Old Dog by Audrey Pavia appeared first on Dogster. Copying over entire articles infringes on copyright laws. You may not be aware of it, but all of these articles were assigned, contracted and paid for, so they aren’t considered public domain. However, we appreciate that you like the article and would love it if you continued sharing just the first paragraph of an article, then linking out to the rest of the piece on Dogster.com. Do you remember when you turned 18? It was a pretty big deal. Becoming that magical age meant you had left childhood behind and become an adult. For dogs, hitting the age of 2 years is very similar. A 2-year-old dog is no longer a puppy — not even an older one. Once a dog hits 2, he’s truly a young adult. When my Pit-mix, Mookie, turned 2 years old last year, I noticed how much he had matured, both physically and mentally. Although he still maintained his youthful exuberance, he no longer acted like a puppy. And he certainly didn’t look like one. What kind of changes can you expect to see when your dog reaches the age of 2? Every dog is an individual, but here are some general changes you can expect to notice. 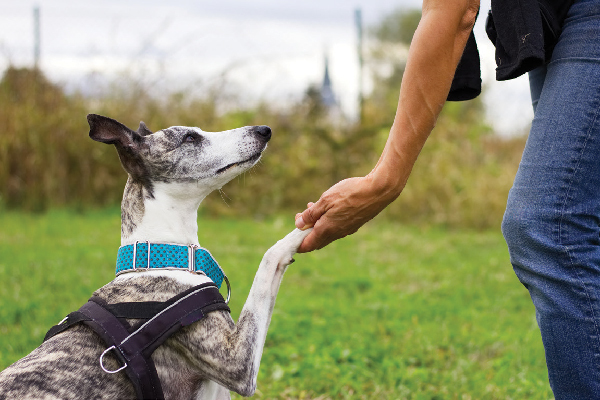 Two years old is a wonderful time — your dog still has lots of energy and enthusiasm but is more likely to listen to you and be reliable in his housetraining. Photography ©Zbynek Pospisil | Getty Images. Most dogs are physically mature when they hit the age of 2. Large-breed dogs like Great Danes can be an exception; they usually need another year until they are completely out of adolescence. But for most dogs, 2 is a milestone that signifies entry into adulthood. By the time most dogs are 2 years old, they have all their permanent adult teeth. Those sharp little puppy teeth are gone! That fuzzy puppy coat is gone, too, and the hair you see at age 2 is the hair your dog will be wearing the rest of his life. In most cases, your 2-year-old dog’s body has finished developing. Most importantly, the growth plates (technically called epiphyseal plates) in your dog’s legs have “closed.” This means the calcium and minerals surrounding his bones have hardened, making him better able to tolerate strenuous exercise without injury to his legs. This is the age when you can start safely jogging with your dog, competing with him in agility and hiking for hours on the trail. Your dog’s adult height and weight is also established by the time he reaches 2. You’ll notice that he doesn’t need as much food as he did when he was younger in order to maintain a healthy weight. In fact, you may need to reduce his portions if he starts to get chubby. Your vet can help you tailor a better diet for your dog now that he’s no longer a puppy. A 2-year-old dog is pretty emotionally mature. Photography ©Pekic | Getty Images. When your dog hits this age, you’ll see a lot less of the old puppy behaviors that were common when he was younger. He will be less likely to get into things he shouldn’t and will be less likely to be rambunctious. You’ll also find that he’s more attentive to training. While it’s important to start a dog’s training when he’s a young puppy — and continue it well into adulthood — dogs at 2 years of age are mature enough to do well in the kind of training that requires more self-control and concentration. Mookie, for example, is a bundle of energy, and I struggled keeping him focused in his early puppy training classes. It wasn’t until he was 2 years old that he was mature enough to earn his Canine Good Citizen award — even though he was eligible to take the test when he was much younger. What’s great about the age of 2 is that your dog will be mature enough to be more reliable in his housetraining, less likely to chew up your shoes, and more likely to listen to you when you tell him to sit, lie down or come. 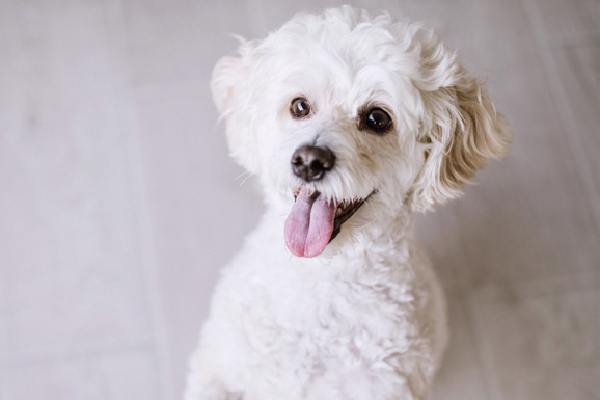 Yet at the same time, he will still enjoy playing with you and with other dogs, and will have the energy and enthusiasm to jog, hike and play Frisbee. Have fun with your dog at age 2. It’s one of the most enjoyable milestones your dog will reach. Photography: Photography ©ulkas | Getty Images.